Adrenal fatigue occurs when your small but powerful adrenal glands are overworked and depleted. This usually occurs as a result of chronic stress combined with inadequate nutrition and sleep deprivation. New mothers face the demands of caring for a baby in the wake of the steep hormonal shift at childbirth and are especially susceptible to adrenal fatigue. Here are some of the best adaptogens for adrenal fatigue and depression that are safe for breastfeeding. Causes, symptoms, and effects of postpartum adrenal fatigue are numerous. Postpartum depression can be both a causative and a resulting factor of adrenal fatigue. Whether or not you know which issue arose first, if you are experiencing postpartum depression, it is essential that you address your adrenal health. In our companion article on postpartum adrenal fatigue, we discussed key components in rejuvenating depleted adrenal glands. Today we will focus on how adaptogens can support you on your healing path. Why are adaptogens so darn cool? Because they help our bodies adapt to stressful situations. Adaptogens work their magic by supporting the whole neuroendocrine system, chiefly bolstering adrenal function. They actually counteract the negative effects of stress! According to master herbalist David Winston, adaptogens “strengthen the entire body by allowing the cells to have access to adaptive energy. They work to protect energy resources from depletion, thus working as tonics in states of fatigue and stress.” These special plants nurture mothers who experience postpartum depression and adrenal fatigue. As a new mama, you are susceptible to poor nighttime sleep, whether due to insomnia, anxiety, bad dreams, a fussy babe, or a combination of these things. When this happens, you likely feel unequipped to face the next day. Perhaps you reach for caffeine or sugar to give you some extra energy. But these stimulants cause energy depletion, insomnia, and physical & psychological addiction, not to mention other common side effects. Adaptogens work by conserving rather than abruptly increasing your vitality. In contrast to stimulants, adaptogens provide enhanced resistance to external stress, improve recovery after exhaustive physical work, increase survival under stress, and rarely bring about side effects. The folowing adaptogenic herbs are generally considered safe for breastfeeding mothers, although you do need to be aware of proper dosage and quality product. Consult an herbalist, traditional Chinese medicine practitioner, Ayurvedic physician, or naturopath. If you currently take any medications, be certain to check for contraindications. This warming, building herb is also called winter cherry. Its special properties include anti-inflammatory, antioxidant, and nervine action. Ashwaganda is wonderful for anxiety, fatigue, unclear thinking, and nervous exhaustion. 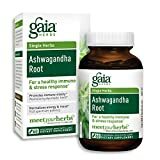 In India it is used for grounding, rejuvenating after childbirth, and building milk supply I recommend Gaia Herbs Ashwagandha Root. NOTE: Avoid if you have an overactive thyroid. This sweet, warming, anti-inflammatory, antioxidant adaptogen stimulates the central nervous system. It is specific for exhaustion and depleted immune systems. *Overdoing this herb can worsen symptoms of anxiety, hypertension, and insomnia. This sweet, warming, sacred herb is also known as tulsi. Tulsi is an antibacterial, antiviral, antioxidant antidepressant. It nourishes your milk supply. This sweet, spicy, cooling herb is antidepressant, antioxidant, antiviral, & nervine. It stimulates the immune system and mildly stimulates the central nervous system. It is known to enhance alertness, reduce fatigue, and improve memory and depressed mental states. 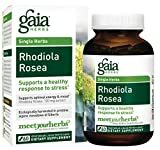 I recommend Gaia Herbs Rhodiola Rosea. NOTE: Rhodiola is not recommended if one is bipolar, manic, or has paranoid mental states. This antioxidant, anti-inflammatory, nervine immune tonic is sour, sweet, salty, bitter, and pungent. Hence its name wu wei zi in Chinese means “five flavors fruit.” These berries alleviate anxiety and bad dreams while enhancing reflexes and mental activity. Mamas with postpartum depression and adrenal fatigue are depleted on so many levels. The stresses of these conditions come with a high premium on our health and wellbeing. Thankfully, adaptogens nourish our adrenals and alleviate the effects of prolonged stress, while bolstering our vulnerable immune systems and lovingly guiding our bodies & minds back to balance. Some even increase our milk supply!